Available on Velvet Underground & Nico. In March or April 2009, Beck got together with his band (Brian, Joey and Bram), Nigel Godrich, Chris Holmes, and Icelandic singer, Thorunn Magnusdottir. 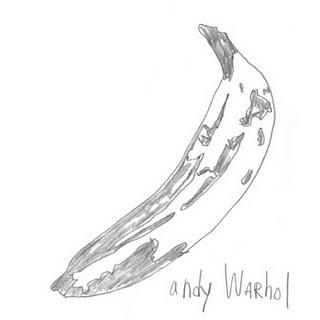 They recorded for beck.com's Record Club all the tracks on the legendary album Velvet Underground + Nico. This is the 3rd song on the album. Beck has recorded a number of b-sides which sound like "Femme Fatale" over the past few years, using a lo-fi base of junkyard bass and drums. (I'm thinking of stuff like "Sorrow" or the like.) Beck's melody is a little less seductive than the way Nico sings it originally, but it's a great vocal--and I love how it is enhanced by the background voices. Beck has long been a VU fan. In the early 2000s, he took to covering "Sunday Morning" and "Who Loves The Sun?" on stage sometimes. He also covered "I'm Set Free" once with Thom Yorke. Also, the song "Beautiful Way" is based on the VU's "Countess From Hong Kong." And, as said, for the Record Club, Beck has covered the entire debut VU album: "Sunday Morning," "I'm Waiting For The Man," "Femme Fatale," "Venus in Furs,", "Run Run Run," "All Tomorrow's Parties," "Heroin," "There She Goes Again," "I'll Be Your Mirror," "The Black Angel's Death Song," and "European Son."